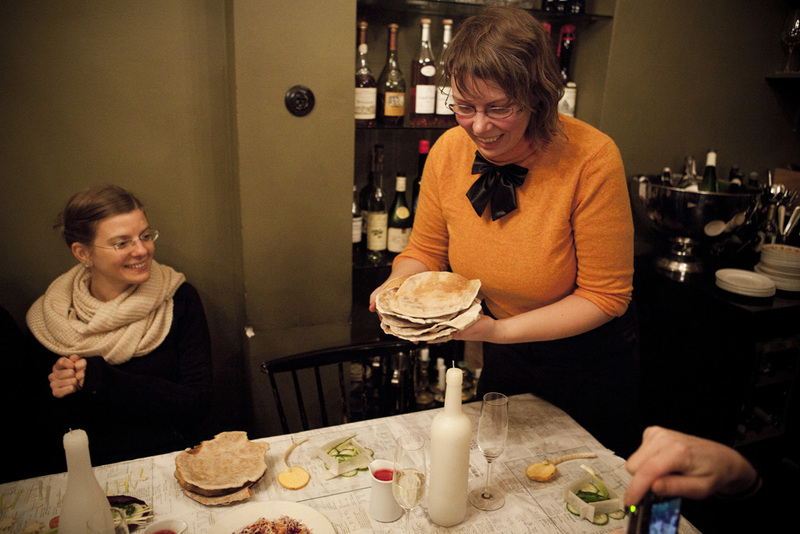 Yesterday night at Ravintola Kuurna in Kruununhaka: a bread making and root cutlery workshop, three plus five chefs of sorts, bottle candle lights, three experimental dishes, a shopping receipt tablecloth, melting beer glasses, and ten strangers. The ingredients that composed the fourth event of the food series ‘5- The dish’. Sounds chaotic? Maybe it was, but a beautiful chaos, with an open-minded atmosphere, delicious plates, and a nice crowd. The evening started at 5 pm with the first half of our guests coming to join forces to create the first dish of the evening – a plate made from Ravintola Kuurna’s specialty, the home made sourdough crisp bread, topped with any vegetable creation people wanted to think of, to be eaten with cutlery made from local root vegetables as material. 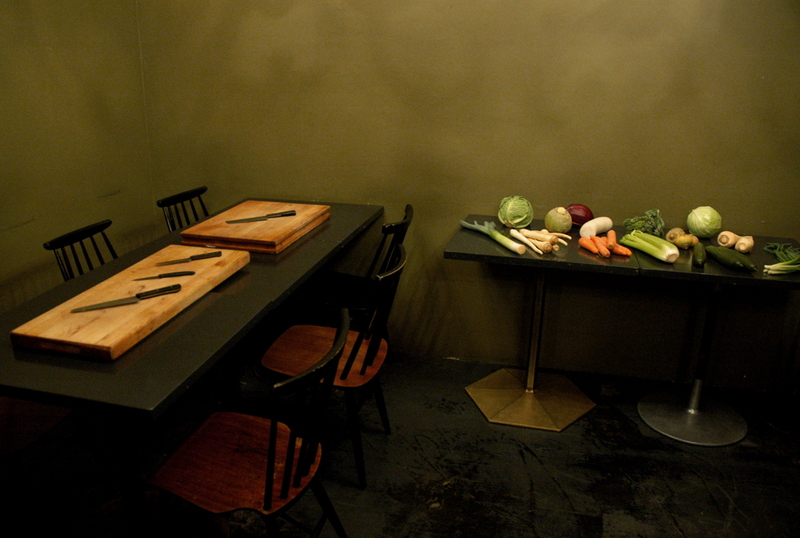 There were carrots, radish, parsnip, celery, different kinds of turnips and cabbages, cucumbers, leek, and spring onions ready to be cut up and composed into colourful dishes. The guests were asked to make one set for themselves and one for their avec which would join us two hours later, at 7 pm, for dinner. 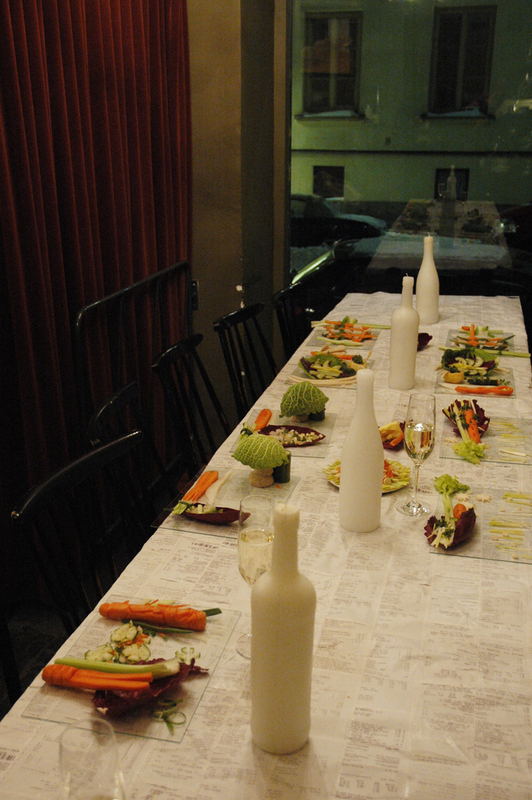 When the second half of the guests arrived, preparations were still underway, but soon we could sit down for the starter creations. Antto offered a special brew of a Finnish beer brand (won’t do any advertisement here! 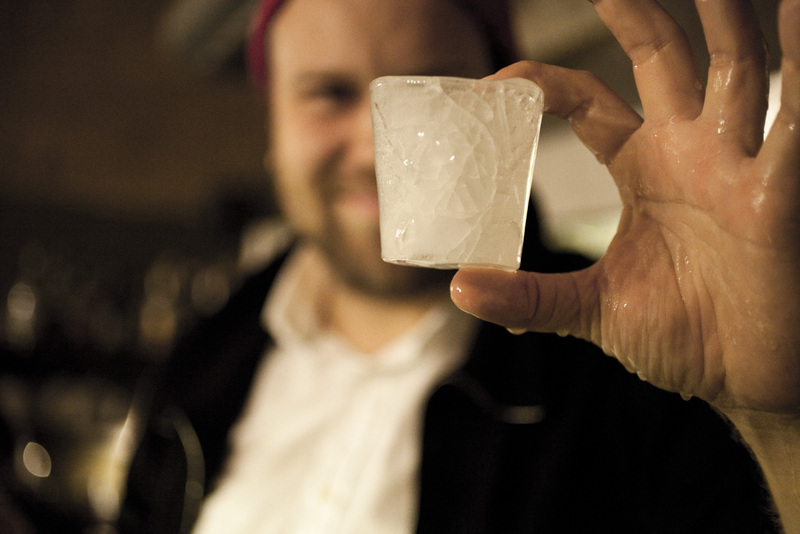 ;)), which we served in glasses made from ice (that’s how you make people drink fast!). In the meanwhile, the main course and the dessert were being completed in the kitchen – a barley-beetroot bowl with melted goat cheese and honey, and a strawberry sorbet container with lingonberries and chocolate sauce on top of a cookie plate. Yummy! The basic idea of the dinner event was to make a wholesome ephemeral experience with all objects slowly melting away, being eaten, or salvaging and repurposing trash. Stay tuned for the 5th and last event coming up this week’s Sunday, 5th of December, more information can be found online soon! The invitations for the 4th event are ready and sent out to three people plus my tutor Cathérine. Antto and Salla will also pick three people of their choice for the event, so that we will have many new faces coming together. The 10 guests will first participate in making edible objects together with us in a mini-workshop and then, we will be joined by their avecs two hours later. I am excited about our list of guests and the menu! It will be inspired by Finnish local handicraft, seasonal ingredients, popular objects, and traditional recipes, and be executed by the guests, Antto, Salla, and me. 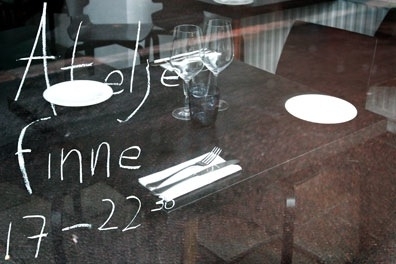 Last night, I finally had a meeting with Antto Melasniemi, co-owner of the two Helsinki restaurants Ateljé Finne in Töölö and Kuurna in Kruununhaka, to schedule and plan the 4th event of the 5-series, which deals with the consumption step (4/5:CONSUME). The day before, I bumped into Salla Kuuluvainen, who played an important role in the oven workshop and is generally active in urban gardening and food activism. I invited her along, and she immediately joined forces. So now, there is a team! Since Antto is busy travelling the next week, we moved the event to the 29th of Nov., a Monday, which is the usual day of rest of the location (restaurant Ateljé Finne). The rough plan is to create an ephemeral dinner, meaning that literally nothing will be left after the meal, no tools, no crockery, no cutlery. 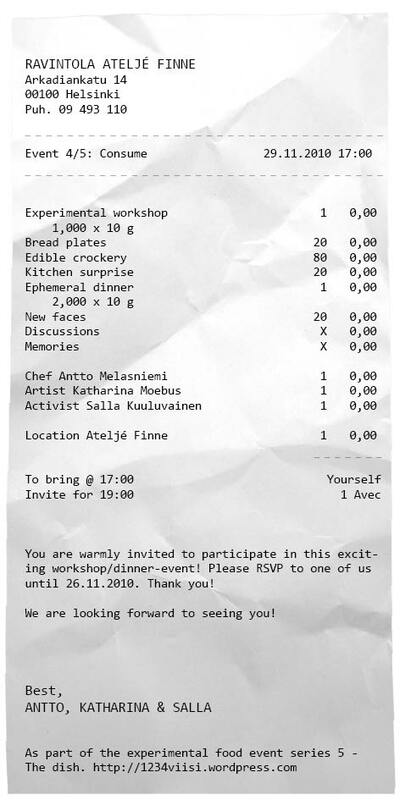 We will organize an afternoon workshop for creating those ephemeral objects for 10 people, who will invite one avec to join us for the dinner following the workshop. 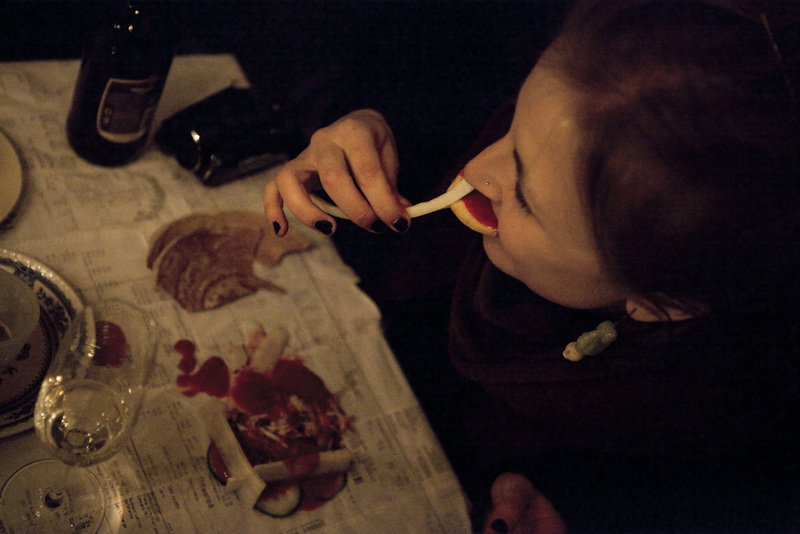 Antto, Salla, and I will complete the edible objects with dishes that will be kept in secret. Stay tuned for updates!